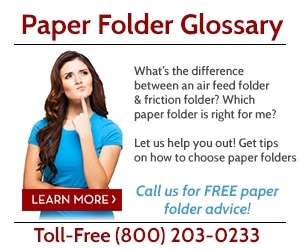 Your company needs to fold 5,000 letters for a monthly mailing. Without a letter folder, an employee making $10 per hour can neatly fold 350 to 450 documents per hour by hand. The job would take 12 to 14 hours, costing you $120 to $140 for the labor, not including benefits. A basic letter folder costs about $1,500 and completes the job in less than two hours. In one year - 12 mailings - you would have made up the cost. You've also freed up 10 to 12 hours per month for your employee to perform other tasks. Before you purchase a letter folder, it's important to think about your folding needs and how you expect the machine to perform. 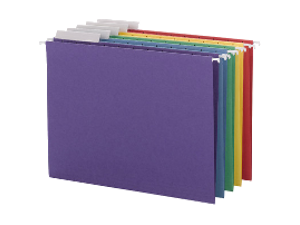 Friction document and paper folders are ideal for businesses with small or large volumes of paper handling. 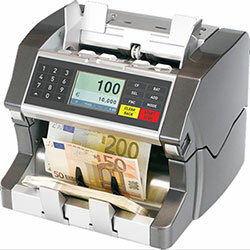 We also offer an automatic paper folder to suit churches, print shops, schools, and governments. 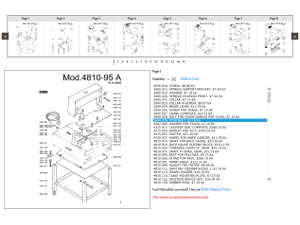 Why spend time manually folding sheets by hand when you can invest in a high speed automatic paper folder that is built to last many years? 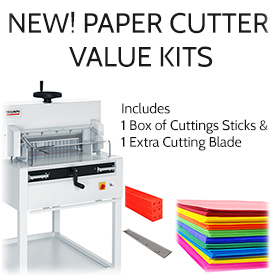 With one operator on a high speed paper folder, consider how much work productivity can increase. 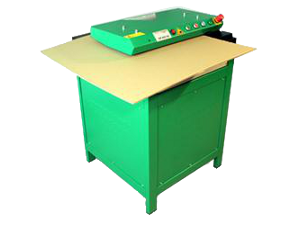 If you're on a tight budget, check out our reburbished folding machines with a full factory warranty. 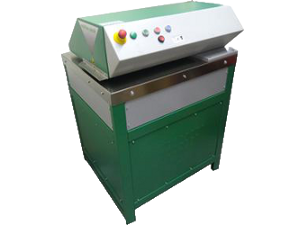 The FD 300 folder provides an economical solution for low-volume folding projects. 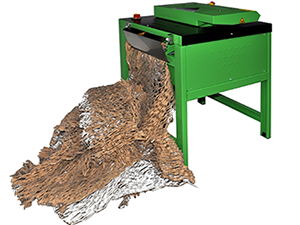 The FD 314 folder provides an economical solution for low-volume folding projects. The FD 322 folder offers an unmatched level of performance and affordability.